ACCL » Overcash, Allen L.
Over 50 years of experience as an attorney advocate in construction law, primarily representing general, subcontractors and specialty contractors and some owners, sureties, and design professionals. Experienced in public and private projects including industrial plants, power plants, petroleum refineries, pipelines, airports, environmental remediation, bridges, dams, highways, water treatment plants, transportation, electrical transmission, high rise buildings, hotels, office buildings, schools, hospitals, shopping centers, sports facilities, and convention facilities. Practice focuses on large, complex construction cases with claims valued to $60 million. In addition to serving as an advocate in arbitration proceedings for over 30 years, has served as an arbitrator for over 15 years. Representative construction arbitration cases in which he served as a neutral include: cases involving claims of less than $10,000 to over $10,000,000; cases heard as a sole arbitrator, as a member of a three arbitrator panel and as chairman of a three member panel; cases involving large engineering projects, power plants, high rise buildings, pipelines, institutional projects, residences, schools, industrial plants, highways, office buildings; new construction and renovations, restaurants, mining facilities; and other construction projects; cases administered by the AAA, by the ICDR, by the International Court of Arbitration, as well as privately administered cases; and cases involving projects located both in and outside the continental U.S. 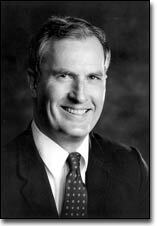 In addition to serving as an arbitrator, has served as a mediator in construction cases for over 15 years. Representative cases include commercial and institutional buildings, power projects, electrical and mechanical work, hospitals, manufacturing plant, highway and rail projects, and environmental work. Lectures and speaking engagements before professional, industry, and educational organizations on construction contracting, construction industry arbitration, use of arbitration and other non-judicial means in resolving construction contract disputes, construction contracting for public entities, strategies of effectively managing changes and disputes on construction projects, contract documents and contract claims, claims prevention, and design-build. Co-conducted AAA webinar on “Fast Tracking a Complex Case,” February, 2010.